As outsourcing increases, companies are ever more dependent on their suppliers to ensure customer success. Yet, as per a recent Aberdeen survey, a full 75% of supplier communication still happens through e-mail/fax/phone. Further most of this data is not resident in back-end ERP systems. Inaccurate and dispersed contact information: Accurate contact information is the foundation of accurate information. Contact information resides in Outlook/Notes folders of key relationship managers. As people change roles at supplier location and within a company, the contact information becomes obsolete. 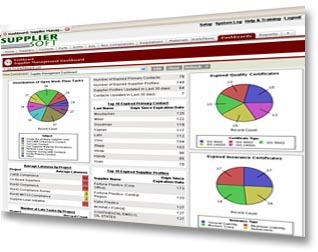 Lack of 360 degree view of supplier Information: Supplier information such supplier contacts, financial information, supplier certifications, supplier capabilities in quality, manufacturing, IT and logistics, past audit findings and quality data, supplier scorecards and component level qualification information gets scattered across multiple systems and is frequently inaccurate. Further, it is hard to keep this information updated. Difficulty managing information projects: When companies need to work with hundreds of their supplier at once on collecting information data, things get harder. Mass communications inevitably lead to “bounced e-mails”. It is hard to track which suppliers have received the e-mail, how many of them have responded, and which phase of the project is a given supplier is in.